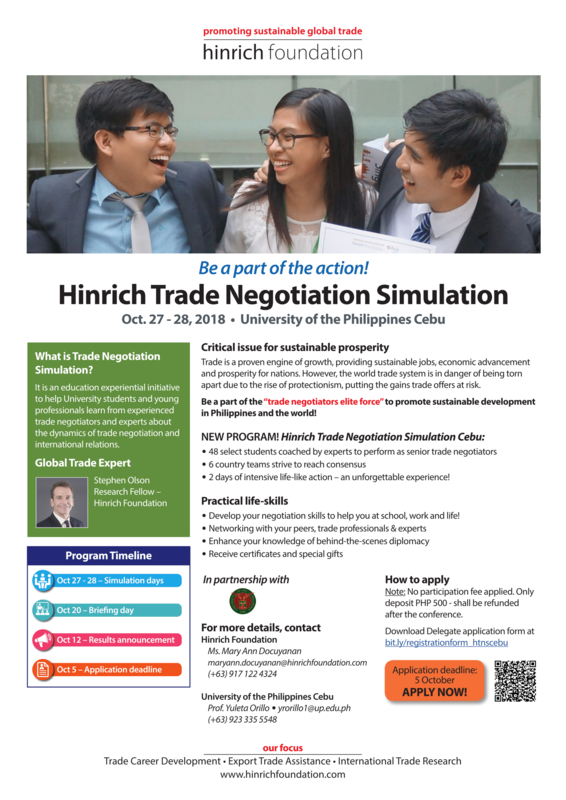 UP Cebu is hosting the Hinrich Foundation Trade Negotiation Simulation at the SRP Campus on October 27 and 28, 2018. Forty-eight student delegates divided into six country teams will learn the dynamics of trade negotiation and how its outcomes can affect economies through an interactive learning experience. On Day 1, October 27, observers are welcome to join the opening ceremony and morning Plenary from 9:00 a.m. to 10:15 a.m. and the afternoon Plenary from 2:45 p.m. to 1:30 p.m. at the SRP Auditorium to listen to international trade negotiation experts talk about preparing and strategizing for trade negotiation. The Foundation has successfully conducted five Trade Negotiation Simulation events in Hongkong, Manila and Vietnam. 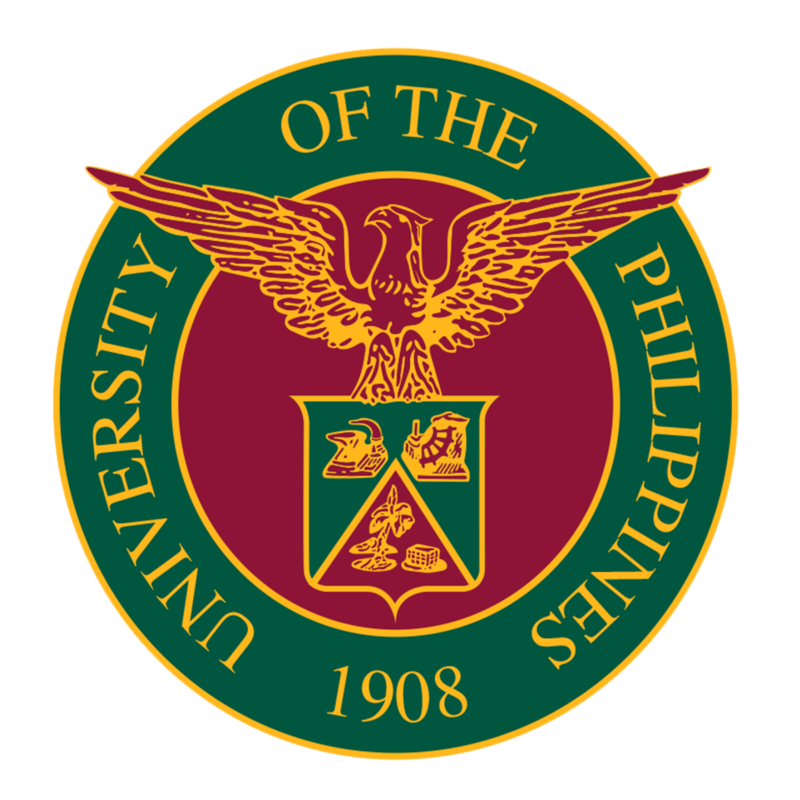 This is the first time that they are bringing this event to Cebu.